Israel is coordinating its settlement construction with the White House, including the approval for building the largest number of homes in the West Bank since 1992, Defense Minister Avigdor Liberman told the crowd at a Times of Israel event in northern Tel Aviv on Thursday night. Earlier this year, US President Donald Trump asked Prime Minister Benjamin Netanyahu to “hold back on settlements” at a press conference in the White House. But this no longer seems to be the American position, Liberman indicated. Giving a rare English-language interview, the defense minister said that while coordination is not happening on the level of “every 10 [houses],” there is general understanding between Jerusalem and Washington about acceptable levels of construction in the West Bank. Even if Israel were to exceed the level that the US wants, Liberman added, the Trump administration still “respects our approach and our vision for the Jewish settlements of Judea and Samaria” — the biblical name for the West Bank. That comment was an apparent reference to the practice of the Obama administration to publicly condemn all Israeli construction over the pre-1967 lines. At the Thursday evening event in the northern Tel Aviv port, which was jointly organized by The Times of Israel and the Tel Aviv International Salon, Liberman discussed a wide range of topics from the Syrian civil war to his first days in Israel as a 20-year-old new immigrant from Moldova. The issue of the growing humanitarian crisis in the Gaza Strip dominated the night’s discussion. Liberman denied that Israel had any responsibility to ease the difficulties facing the Palestinians in the coastal enclave, who have access to just a few hours of electricity a day, saying instead that Israel should work to make the world understand that their plight is the fault of Hamas and the Palestinian Authority. “It doesn’t make sense that Hamas collected in the past year NIS 100 million every month in taxes… but are not prepared to divert one shekel for electricity,” Liberman said. 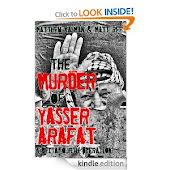 Instead the terror group invests that money in “rockets and tunnels,” he added. “At the end of the day, it’s not our responsibility. We evacuated completely to the 1967 lines,” he said, in a reference to the 2005 disengagement from the Strip, in which some 7,000 settlers were removed from the 21 Israelis communities in Gaza. Liberman was asked about his opposition to a proposal by Transportation and Intelligence Minister Yisrael Katz to construct an artificial island with a port off the Gaza coast in order to aid the ailing economy of the Strip. The defense minister said that Hamas would present the port as a victory, and he repeated his belief that it would not be feasible in any case given Israel’s security requirements. A Gaza port would “become a way of smuggling weapons and mercenaries and Iranian operatives,” Liberman said. The defense minister decried Iran as the source of much of the world’s miseries. “We have a real problem with Iran, but it’s not just Israel,” he said, pointing to Tehran’s efforts to “undermine” countries across the Middle East. On the issue of the Syrian civil war, Liberman would not say what specific outcome Israel was hoping for, only that he was ultimately interested in ensuring that, regardless of how it ends, Israel remain safe. Earlier this week, the defense minister said that Israel was “closer than ever” to a regional agreement — not a peace deal — with Arab countries, in light of the presidency of Donald Trump and the Sunni Muslim nations coming together to fight Iran and violent extremism. He elaborated Thursday that he doubted such an agreement would revolve around social or economic issues, but thought it would more likely be concerned with security cooperation, given the level of volatility and violence in the region. Liberman said that Israel’s somewhat cold, but lasting agreements with Jordan and Egypt, with which Israel now has deep security ties, are “good examples” for other Arab countries about the benefits of cooperating with Israel. 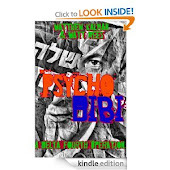 However, he said dryly that he doubted the Middle East would ever become “like Scandinavia,” adding wryly that there will be regional peace “maybe when the moshiach comes,” using the Hebrew word for the messiah. The defense minister said that he doubted a final status agreement with the Palestinians would be possible without their first being an agreement with the “moderate Arab states” in the region — the so-called “outside-in” approach. He noted that PA President Mahmoud Abbas turned down former prime minister Ehud Olmert’s offer at a peace summit in Annapolis, Maryland, in 2008, which Liberman said was the best proposal the Palestinians could have received. “I don’t see intention on the Palestinian side” to go back to the negotiating table, he said. Liberman reiterated his long-held belief that an accord would only be possible if the future Palestinian state included the Arab towns in northern Israel, otherwise known as the Triangle. He said he still believed Trump would move the US embassy from Tel Aviv to Jerusalem. “Maybe this year, maybe next year,” he speculated. Liberman, who immigrated from Moldova in 1978, said that Israel is the only country where you could immigrate at the age of 20 and one day wind up defense minister. Liberman was appointed to the post just over a year ago — after Netanyahu ousted Moshe Ya’alon from the position — after his Yisrael Beytenu party entered into a coalition agreement with the ruling Likud party. Liberman laughed at interviewer Matthew Kalman’s attempt to describe his ascension to the Defense Ministry as merely unexpected. President Trump’s forays into Middle East diplomacy have been as unpredictable as the rest of his presidency and his first visit to Israel as Commander-in-Chief promises more of the same. Originally billed as a warm welcome to an outspoken friend, his visit has become overshadowed by a slew of unseemly spats over Jerusalem, intelligence-sharing and settlements, while the Palestinians look on, perhaps unable to believe their luck. But their joy could be short-lived. 1. Will that Israeli intel blunder hurt diplomatic relations? Israelis were shocked this week to learn that Trump may have divulged some of their secret intelligence on ISIS to the Russians, an ally of Iran, Israel’s sworn enemy. After the Washington Post revealed that Trump had shared classified reports with the Russian foreign minister and ambassador, the New York Timesand ABC quoted sources asserting that the information came from an Israeli spy embedded with ISIS. Israeli media said the intelligence was related to a plot to carry a booby-trapped laptop onto a plane that triggered a sudden ban on computers on flights to the US and UK in March. There was no official confirmation from Israel, but the head of Israel’s military intelligence was reported to be in Washington trying to defuse the crisis. Local intelligence experts queried the dramatic reports of an Israeli spy embedded with ISIS, saying it was more likely the information resulted from signals data collected by Israel’s military intelligence from internal ISIS transmissions. The fallout may be temporary, in other words. “It may cause a small damage or a local one,” said Amnon Sofrin, a former head of Mossad’s intelligence directorate, "but not a disaster." 2. Can Trump really make the "ultimate deal"? Donald Trump seems like the Middle East’s most unlikely peacemaker — but could that work to his advantage? Expectations are so low, and his experience is so limited, he could be the breath of fresh air required after decades of diplomatic sophistry. Certainly, Trump’s ingénue naïveté is one rare thing on which both sides appear to agree. “What Trump has going for him is so far no-one wants to be the one to say no to Donald Trump. That’s what he seems to be counting on to get short-term gains,” says David Makovsky of the Washington Institute for Near East Policy, who served on John Kerry’s Middle East peace team. His team has also gone down well — Jason Greenblatt, Trump’s newly-appointed envoy, has impressed both sides. “He doesn’t come from the peace process establishment. He comes from the business world. I found sitting with him remarkably refreshing,” says Michael Oren, an Israeli deputy minister and former ambassador to Washington. There are green shoots of progress. Palestinian officials tell TIME that plans to restart security training by the CIA in Langley for Palestinian security forces, shelved after Trump’s victory, are now back on the agenda. The sudden warmth and talk of the Palestinians as “strategic partners” tell the Palestinians that Trump’s willingness to engage is not just for show. 3. A one-state solution, or two? Trump amazed seasoned observers during his White House press conference with Israeli Prime Minister Benjamin Netanyahu in February when he appeared to discard the long-standing U.S. policy of a two-state solution to the Israel-Palestine conflict, saying he was “looking at two-state and one-state” and “can live with either one” agreed by the parties. Israel’s official position, set out by Netanyahu in a 2009 speech at Bar-Ilan University, is to support the creation of a demilitarized Palestinian state alongside Israel. But large swaths of the Israeli public, including members of the government coalition and even Netanyahu’s own party, are vehemently opposed. Netanyahu himself said in March 2015 that the Palestinians’ policy had made the notion “irrelevant.” The recent turmoil in Syria and Iraq has added security fears to Israel’s concerns. “We can’t afford to have a state on our border that’s going to fall apart in a matter of hours. That’s the bottom line,” says Michael Oren. 4. Will the U.S. Embassy move to Jerusalem? Trump arrives in Jerusalem on the eve of the 50th anniversary of the Six-Day War, when Israelis captured the city, and it remains a central issue in peace talks. Israel wants it to be their “eternal, undivided capital.” The Palestinians want the pre-1967 border through the city reinstated so they can establish their own capital in East Jerusalem. No-one in the international community recognizes the current city of Jerusalem as the capital of Israel, and the U.S. embassy remains firmly anchored in Tel Aviv. However, before his election Trump had vowed to transfer it. By February he was prevaricating. “As far as the embassy moving to Jerusalem, I'd love to see that happen. We're looking at it very, very strongly. We're looking at it with great care, great care, believe me. And we'll see what happens. OK?” said Trump as he stood beside Netanyahu at the White House. The waiver signed by every president since Bill Clinton delaying the move for another six months will land on Trump’s desk in early June. Israelis hope he won’t sign it. “The U.S. Embassy – like all embassies – should be moved to Jerusalem,” Netanyahu told the incoming U.S. ambassador on Tuesday. That would be “a fatal mistake” says Jibril Rajoub. The issue was complicated, ahead of the trip, by a controversy surrounding Trump's visit to the Western Wall, Judaism's holiest shrine. Officials at the U.S. Consulate-General in Jerusalem urged against the visit, with one official describing the site as part of the West Bank. The White House disavowed those comments, but at a subsequent press briefing Trump’s national security adviser Lt. Gen. H.R. McMaster demurred from saying whether the wall, which forms the perimeter of the Temple Mount site that houses the Al-Aqsa Mosque, is Israeli territory. 5. Is Trump on board with new settlements? Right-wing Israeli cabinet ministers hailed Trump’s election as an opportunity to annexe the West Bank and ramp up Israeli settlement activity. “Trump’s victory is an opportunity for Israel to immediately retract the notion of a Palestinian state in the center of the country, which would hurt our security and just cause,”said Education Minister Naftali Bennett, head of the pro-settler Jewish Home party. Hardliners were further cheered by the appointment of David Friedman, Trump's long-time lawyer and confidante, as the new ambassador to Israel. Friedman, an orthodox Jew, is a prominent supporter, fundraiser and frequent visitor to Israeli settlements in the West Bank. But during confirmation hearings, Friedman recanted some of his harsher statements – he had branded the Anti-Defamation League “morons” and the left-wing Zionist group J Street as “worse than kapos” - agreed that new settlements could hamper peace moves, and said he did not support Israel’s annexation of the West Bank. So the settlers’ initial euphoria at Trump’s election is evaporating. Israeli officials have postponed decisions on new housing developments in East Jerusalem to avoid a repeat of the diplomatic disaster during a visit by Vice President Joe Biden in 2010. But there is intense pressure on Netanyahu from Bennett and others within his cabinet to take advantage of Trump’s election to entrench Israel’s control of the West Bank. That may not be as easy as it appeared last November. “I’ve been in the White House. My impression is that they want us to exhibit a significant amount of restraint,” says Oren. 6. Should Israelis and Palestinians unite to combat Iran? Trump’s swing through Saudi Arabia, Jerusalem, Bethlehem and the Vatican is big on symbolism, as the White House has underlined, linking the centers of the world’s three great monotheistic religions. It also links the Middle East opponents of both Iran and ISIS. The U.S. President has echoed the fears expressed both by Israel and the moderate Gulf states about the Iranian nuclear deal. “Now is the time to address this threat and not in 10 or 15 years’ time,” says Oren. Israeli media have reported that Netanyahu wanted to take military action against Iran, but was pulled back by his intelligence and security commanders. The threat of Iran may yet build momentum for strategic alliances. The Arab League reportedly offered this week to normalize relations with Israel in return for a deal on Palestine, to better face Iran as it races towards nuclear military capacity. The grouping of 22 states believes such a deal could remove the barrier to regional cooperation with the Jewish state. Will Trump agree that the Iranian threat justifies pressuring Israel into making concessions to the Palestinians in order to solidify the anti-Iranian front? Israeli officials are not convinced the risk is tolerable or necessary, but it could be the Palestinians’ trump card. “The emergence of a sovereign independent Palestinian state is the must to assure regional stability, security and global peace,” says Rajoub. 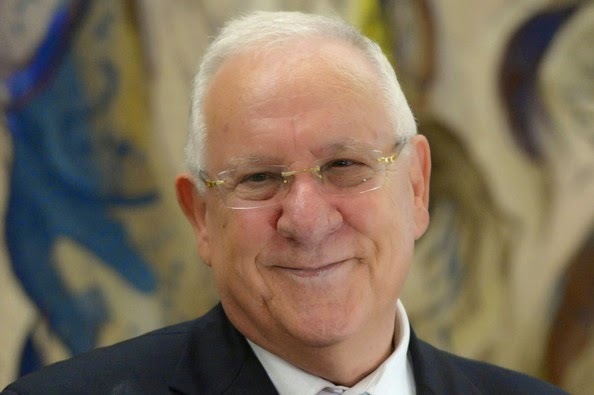 President Ruvi Rivlin "We must ask ourselves seriously, what is the point of the proposed law – Israel: The National State of the Jewish People? Does promoting this law, not in fact, question the success of the Zionist enterprise in which we are fortunate to live?" President Reuven Rivlin, this evening (Tuesday, 25 November 2014) addressed the annual gathering of the State Prosecution, in Eilat. Honored friends, at the height of the tensions between the Jewish and Arab citizens of Israel, and amidst a wave of murderous terrorism, you have bravely chosen to dedicate this year’s conference to the issue of the relationship between minorities and the majority in our land. Moreover, the headline of the conference, ‘To be a minority in our country’, alludes strongly to the idea, (as stated in the national anthem), ‘To be a free people in our land’, juxtaposed with ‘to be of a minority in our land.’ The title of the conference, demands of us to take the bull by the horns and not to avoid the question – is there really a contradiction? Does being a part of a minority in the State of Israel, mean that one is not a free citizen of the state? Firstly, allow me to offer a critique of the conference’s title. Not because I think the question posed is inappropriate, but because for the simple reason that the Arab community of Israel, is not a minority, at least not in the conventional sense. In the same way as the Ultra-Orthodox community is not a minority. When close to quarter of the children in first grade are Arab, and close to a fifth are Ultra-Orthodox, the usage of the term ‘minority’ in relation to these communities is false and flawed. Indeed this level of preciseness is not merely a matter of linguistics, nor of semantics, but strikes at the core of the matter. Because, when we raise the issue of the relationship between Israel’s Arab and Jewish communities, we must understand that we are seeking to clarify the matrix of the relationship between the State of Israel, and over one-fifth of its citizens. Citizens who are part and parcel of this country, and for whom this land is their homeland. Citizens for whom the discussion about their rights and obligations, does not only address their equality as individuals in the State of Israel, but as a population with a collective and cohesive cultural and religious identity. The severe discrimination of the Arab community as far as resources (in education, infrastructure, building and development,) is inconsistent with the democratic nature of the state, as it is inconsistent with the Jewish nature of the state. And now, we return to the question with which we opened. That being, is there a contradiction between the vision of Jewish independence and sovereignty in the State of Israel, and the freedoms of non-Jewish groups within it? It occurs to me that this question is nothing but another way of asking; can the Jewish State, be a democratic state? Against a background of a range of efforts to enact a ‘national law’, attempting to set in law the Jewish character of the Jewish State, it seems that this question has become more relevant than ever. Friends, the Declaration of Independence – accepted as a basic charter, and meriting of declarative constitutional status by a Supreme Court ruling – emphatically states the Jewish and democratic nature of the State of Israel. The formulators of the Declaration of Independence, with much wisdom, insisted that, the Arab communities in Israel, as well as other groups, should not feel as the Jews had felt in exile. Therefore, the declaration not only determines the complete equality of social rights for all its citizens, but religious, language, educational and cultural rights. The founding fathers of the State of Israel, envisioned a state whose Jewish nature and democratic nature, were as one. Moreover, ‘social and political equality’ was for them in keeping with the vision of the Prophets of Israel. For them, it was an obvious outcome of the Jewish vision rooted in the values of freedom, peace and justice. In the seventh decade of our independence, Jewish citizens of the state enjoy a strong and wonderful national home. We must always remember what has for our young men and women, already become taken for granted. 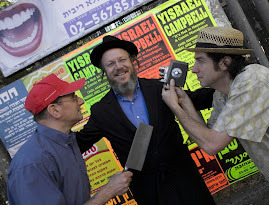 Citizens of Israel speak Hebrew, and are creating a rich and diverse in their own language. Israel’s holidays are celebrated publically. The Israeli public education provides a rich, Jewish and nationalist education. The flag and national anthem of Israel are seen and heard at sports competitions across the world. The symbol of the state, the Jewish Menorah is emblazoned on the pages of the Israeli passport, with which Israeli citizens can enter 144 countries without a visa. The State of Israel is the national state of the Jewish people, ‘a free people in our land’. A small, abhorred minority, undermine this fact, both from within our own and from outside, and so, we must ask ourselves seriously, what is the point of the proposed law – Israel: The National State of the Jewish People. Does the promotion of this law, not in fact, question the success of the Zionist enterprise in which we are fortunate to live? Does this proposal, not in fact encourage us to seek contradiction between the Jewish and democratic characters of the state? Does this bill not in fact play into the hands of those who seek to slander us? Into the very hands of those who wish to show, that even within us, there are those who see contradiction between our being a free people in our land, and the freedoms of the non-Jewish communities amongst us? Friends, I remember like yesterday, the unparalleled pride we felt, my friends and I, on November 10th, 1975, when we saw the Israeli ambassador to the United Nations, who of course later became President of Israel, Chaim Herzog, when from the podium at the United Nations, he tore up the resolution equating Zionism with racism. Herzog ripped up an improper and distorted decision, which sought to attribute to the Zionist enterprise the very injustices which Zionism itself had righted. And yet, even then, as Chaim Herzog was speaking out against those who dared to question the moral basis for our right to self-determination, the leaders of Israel did not see fit to respond to the authors of the shameful UN resolution with attempts to pass laws regarding the superiority of the Jewish nature of the state. The thought did not even cross their minds, specifically, because Israel’s being the national home of the Jewish people was self-evident. With a heavy heart, while still Speaker in the Knesset, I read the opinion of the Knesset's legal advisor, regarding the original proposal of the Basic Law of Israel as the nation state of the Jewish People. Ladies and gentlemen, such a hierarchical approach, which places Jewishness before democracy, misses the great significance of the Declaration of Independence, which combined the two elements together – without separating them. Judaism and democracy, democracy and Judaism, said as one utterance, are combined, and continue to be so. These are not merely words. This is the beating heart of the State of Israel. A state established on two solid foundations; nationhood on the one hand, and democracy on the other. The removal of one will bring the whole building down. Even if another law would eventually pass through the current Knesset, I am afraid that the atmosphere which led to the formation and proposal of this law will not quickly pass through either the Knesset of the Israeli public. When considering the possibility of changing the constitutional foundations of the State of Israel, it would be fitting to hold a full and comprehensive referendum, to consider the ramifications. Such a deliberation must be undertaken with the necessary level of seriousness, and with long term considerations. We must understand the deep connection between the Jewish and democratic components is not artificial. Those who see the proposal of a Basic Law which cements Israel as a Jewish state, to be a counterweight to the Basic Law on 'Human Dignity and Liberty' are simply mistaken. Moreover, one who thinks that the Basic Law on 'Human Dignity and Liberty' in some way contradicts the Jewishness of the state, not only does not understand what a democratic state is, but fails to understand what a Jewish state is. Indeed, I ask you, is there a more 'Jewish law' than the Basic Law on 'Human Dignity and Liberty'? In each and every legal text, this is the law that states most clearly the greatest assertion that the Jewish perspective brought to the world; 'Beloved is man, for he is made in God's image'. And so I fear that the original text of the law, whilst trying to avoid a conflict between Judaism and democracy, ended up stuck in a conflict a between the Jewish State and Judaism. Every law which weakens the greatest of Jewish laws - that of human dignity - not only weakens the Jewish character of the State of Israel, but at the end of the day, will also weaken our national home. I call on all Members of Knesset, on all citizens of Israel, Jews and non-Jews. Our combined efforts must be invested not in drawing differences between Judaism and democracy, but in the mutual development and empowerment to be found where they meet. Friends. Amongst those who promote this law in its hierarchical version, there are those who state that the aim of this law is to force the Supreme Court to preference in its rulings Jewish considerations over democratic ones. It must be stated clearly, the relationship between the courts on one hand and the legislature on the other, has yet to reach a desired balance. For twenty years, the Supreme Court and the Knesset have been on a chronic collision course, whereby judicial activism has sought to cause the Knesset's activities to spill over into the realm of the courts. I supported in the past, and I continue to support the vital need for a 'Basic Law on Legislation.' A law, that even without a constitution, will at least codify the rules of the game between the different authorities. A law which, for the first time, will regulate the status of the Basic Laws, and legislate for a judicial review. A law which will allow for a limited period, the renewal of laws which did not pass such a judicial review, with a special majority of 65 MKs. I thought then as I do now, that the citizens of Israel are the sovereigns of the state, and thus, the Knesset as their representatives holds the last word. Is there anyone in the Knesset that fears the Supreme Court would suddenly annul the 'Law of Return'? Or that it would suddenly find legal issue with the settlement of Jews in the Galilee or the Negev? If so, they should support and respect a Basic Law on legislation. Passing such a law would not require harming the Jewish or democratic essence of the State of Israel, by showing preference to one component over the other. Make no mistake – a sovereign and independent Knesset in no way makes for a more Jewish and less democratic Israel. In any event, the issues with which we begun have brought into focus – that our ambition to live as a free people in our land, in our national home, requires the empowerment and reinforcement of the strong, democratic foundations upon which the State of Israel was established. The strengthening of these democratic foundations will of course not be realized by handing over power of attorney to the Supreme Court, nor by the weakening of the Knesset, the representative of sovereignty. Furthermore, the strengthening of the Knesset not only safeguards the freedom for which we waited generation upon generation, but distinctly preserves the magnificent Jewish heritage, in whose name we established the State of Israel. And so, my friends, what does it mean to be a free, non-Jewish, citizen in our land? If we are dealing with the freedom of the Arab public, and their equal rights in the State of Israel, then we must address, and correct the ongoing discrimination which they endure. And when we are dealing with Judaism and democracy, we must state clearly. The severe discrimination of the Arab community as far as resources (in education, infrastructure, building and development,) is inconsistent with the democratic nature of the state, as it is inconsistent with the Jewish nature of the state. And yet, even if we succeed to narrow these inequalities, and to eradicate this discrimination from within us – we will yet to have realized the vision, and we will yet to have fulfilled the promises of the Declaration of Independence, if we still seek to cement into law the Jewish nature of the state, in a way that places it above the democratic nature of the state. Specifically, during these days, when brutal and murderous terrorism seeks to drive us apart, we must reiterate to ourselves, (here, in the Knesset, in schools, in academia and in the halls of Torah study,) that Jewish is democratic and democracy is Jewish. Only thus can we know that this external, brutal terrorism, will not only not break us physically, but neither will it break our spirit.